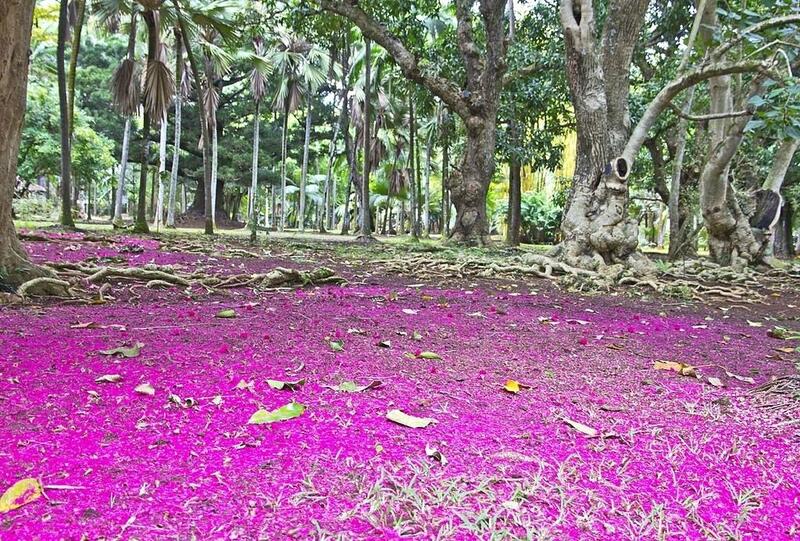 French traveler Jules Leclerc wrote in his notes in 1893 that "If Mauritius is the paradise of the southern hemisphere, we can say that the Pamplemousses Botanical Garden is the paradise of Mauritius." The garden has been preserved and guarded for almost 300 years owing to the enthusiasts of several generations. Nowadays we are proud to show it to our guests. 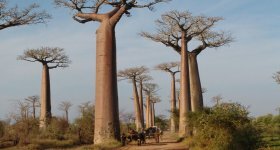 To enter the park, you pass trough beautiful wrought gate where the first thing that you see a giant baobab tree that grows “upside down”. 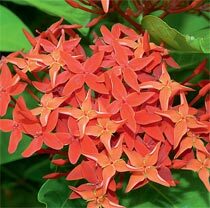 In the garden, you meet a lot of strange and funny plant names: Sausage tree, Bottle tree, Bleeding tree, Elephant's foot, Wax palm, Sugar palm, Travelers Palm and others. Here the most commonplace indoor plants as rubber plants and crotons grow so big that you won’t recognize them. A talipot palm will amaze you with its 6 meters long leaves. This tree blossoms only once in a lifetime, at the age of 40-60. Its white cream flowers can be seen during several months, then the palm bears fruit and slowly dies. 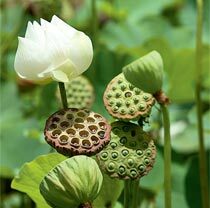 Another wonder of nature that will touch your feelings is picturesque lily pond covered with giant water lilies. Its leaves are about 1 meter in diameter and flowers change the color from white to violet in two days that is why it is often called a Two Nights Queen. 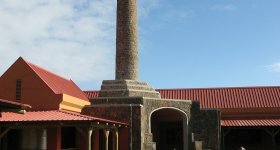 You will see a glade with medicinal plant, familiar Clove tree, Cinnamon tree, Nutmeg tree; you’ll hear a curious story about how the acclimatization of these plants on Mauritius promoted spice trade revolution. At the end of the alley grows quite noteworthy tree, a black ebony tree. It is relatively young, just several hundred years old. In XVII, ebony wood was liberally exported by Dutch from Mauritius to Europe. It should be noted, that only 800 years old trees were valued. After that, you will come back for sure!